It isn’t every day that one sees a Pelican. Now and then they visit our local swimming baths. Popular spots for them are around the wharves, where they sometimes perch on poles. Pelicans are very large relatives of cormorants. 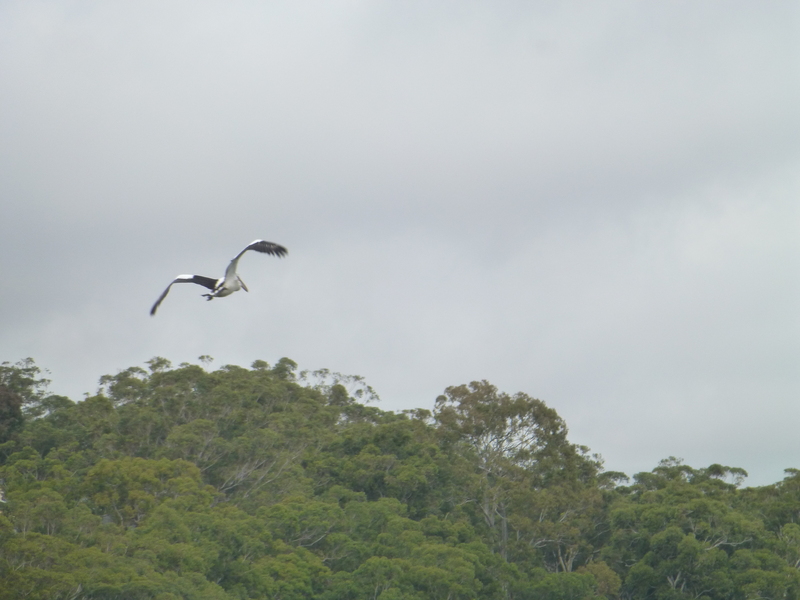 Here is a photograph of one in flight, over the river.